The new Samsung Galaxy S6 and Galaxy S6 Edge are big sellers for the smartphone giant, and rightly so. With a new design from the ground up using glass and metal, sporting a QHD Super AMOLED display, offering their own 64-bit processor with 14nm technology, DDR4 RAM and their new USF 2.0 Flash Memory they take on an entirely new premium look and feel. Talking about looks – the new Galaxy S6 Edge with a dual curved display is a real stand out and shows what Samsung can do when ‘forced’ into a corner. The excellent camera is one of the best smartphone cameras on the market at present time. Samsung also did a lot with software and lightened up on their infamous TouchWiz UI and it has many customizable features to help optimize the user experience. We wanted to go through a few of them to show you how easy they are to setup and how helpful they can be to make your Galaxy S6 series even more appealing. While the Galaxy S6 Edge has some unique settings for its curved display, these four can be used on both Galaxy S6 models. Going alphabetically, let’s start with one cool feature that really makes a difference in your listen experience – Adapt Sound…and I wonder how many Galaxy S6 and S6 Edge owners have not yet set up this practical feature. Adapt Sound allows the user to experience the best sound for both phone calls or listening to media, be it music or video. To set it up you will need a pair of headphones or earbuds. In the Settings, select “Sounds and notifications” –> Select “Sound quality and effects” –> Select “Adapt Sound” –> Plug in your headphones and “start” your test. It will walk you through a series of sounds, almost like a hearing test, and the ‘adapt’ the best sound levels for your right and left ears no matter what you are listen to…and it really makes a huge difference. Next up is the ability to Allow/Block individual app notifications – getting too many notifications in one particular area, such as Instagram likes, this is a way to control them. In the Settings, select “Sounds and notifications” under the Device submenu –> Scroll down and select “App notifications” –> Select the individual app and toggle between the three settings that you like best – “Block notifications” that will block notifications, sounds and vibration app alerts – “Set as priority” will show the notification at the top of the notification panel and include them on the list to notify you even when the “Do not disturb mode” is on – “Hide content on lock screen” will hide notifications from this app while the device is locked. How many of you have Customized your quick settings panel to get the most from the settings that you use the most? Swipe down to access the notifications panel –> Tap the edit icon in the top right corner –> The top two icon rows (light blue) show selected apps while the bottom two rows show available apps –> Press and hold an app icon to rearrange, remove, or add an app to quick settings. It is that easy to customize your notifications panel so next time you pull it down your favorite or most used settings will show up. Tired of looking through all of the settings each time you want to make changes or check something out…do a Settings search to find it fast. Select the Settings app –> Select “Search” in top right corner –> Type in desired feature setting for quick access and it will take you right to the setting you want…pretty slick! The Galaxy S6 and S6 Edge are packed with customizable features to make life easier. 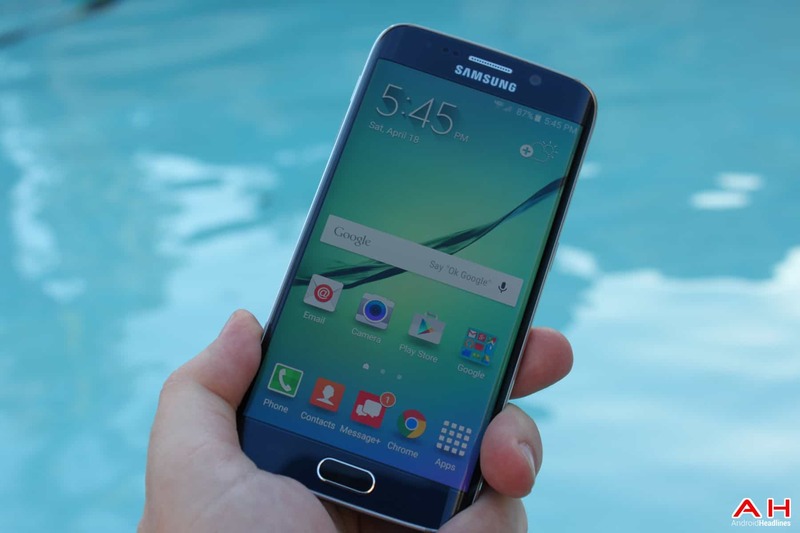 The post Exploring Four Custom Settings on the Galaxy S6/S6 Edge appeared first on AndroidHeadlines.com |.